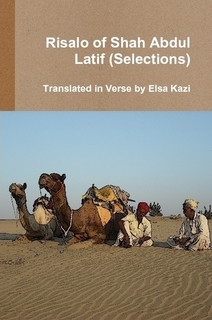 This book is divided in eight sections in which explanations regarding spiritual recitations, meditations, spiritual attainments like fana-fi-Muhammed and Dawat-ul-Qaboor have been given. This book is like having a kamil-murshad. It talks about the procedures of spiritual recitations (zikr) exclusive to the Qadria order of Sufism. The importance of strict observance of Islamic laws has been explained in detail in this book. The only devotee who has sincerely engraved the name of Allah in his heart can reach the truth of the divine entity. The deep secrets of sufi terms like Allah, Lillah, La-Hu, Hu, Faqar, Muhammed (P.B.U.H) and Fana Fi Sheikh has been explained. This book was specifically written for the most pious and great Mughal Emperor Hazrat Aurangzeb Alamgir rahmatullah alaih. This book explains the importance and benefits of carving the name of Allah in one's heart. No other person can ever give such beautiful and detailed explanation as Hadrat Sultan Bahu (R.A), about the benefits of engraving and meditating the name of Allah in one's heart. The procedure of craving and meditating the name of Allah is advocated to be the master key of all problems. The symptoms of a true disciple and his master have been explained in this book. The immensely important recitation of Dawat-ul-qaboor has found mention in this book. The hidden spiritual attainments of a true saint have been explained. 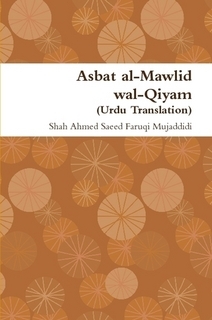 Hadrat Faqeer Altaf Hussain Sarwari Qadri (R.A) has provided adequate translation and thereafter has also given splendid explanation and commentary for all the relevant topics in this book. This book is fully packed with the great secrets about the basic tenets of the Qadria order. The difference between a true and materialistic devotee is explained. Various topics are addressed in this book. In this book, light has been thrown on the spiritual life of a devotee. In this book, the eight symptoms of a perfect being have been explained in a very detailed manner. Mention has also been made on the immensely important topics of honest livelihood, shedding of one's ego, and the blessed court of prophet Muhammed (P.B.U.H). Mention has also been made on the spiritual importance of the Sarwari Qadria order of Sufism. The effects and symptoms of one's spiritual connection with his spiritual master have been explained. Various important topics have also been covered in this book. Hadrat Faqeer Altaf Hussain Sarwari Qadri (R.A) has translated the book and thereafter has also provided absolutely splendid and enriching explanation of the relevant topics. This book contains the description given by Hadrat Sultan Bahu (R.A) of the exalted spiritual status of the messenger of Allah, Hadrat Muhammed (P.B.U.H), in this book Hadrat Sultan Bahu (R.A) has called Prophet Muhammed (P.B.U.H) as the perfect being. The types of spiritual recitations are also explained. Detailed effects and results of different types of spiritual recitations and rewards have been explained. The importance of spiritual recitations and bounties for a devotee's spiritual journey have also been explained.